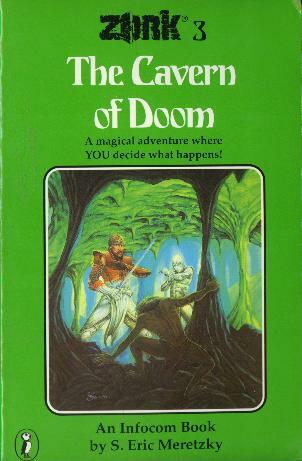 The Zork multi-path adventure books were published in a number of countries, including the United States, England, Spain, and Australia. Here are the covers of the Australian versions, identical to British versions except that the U.K. cover has the price in pounds. The fourth book, Conquest at Quendor, was not published in Australia and is not mentioned on the back covers of the three that were.